Charlene joined Back 2 Normal in March 2014 and is our Pilates expert, rehabilitation transition and return to fitness specialist. She currently assists clients through private, duet and small group mat classes, where she customizes sessions to maximize results and performance. Charlene first found her love of Pilates as many have…through pain. After spending several years working desk jobs, the pain in her neck and shoulders became too much to handle. On a whim she gave Pilates a try. That was in 2002, and she hasn’t looked back since. After 2 years of practicing as a student, she decided to change her life and become a Pilates instructor. She first became certified through The PhysicalMind Institute and then continued her education with Stott Pilates. 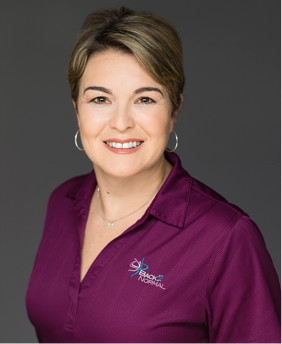 Over the past 10 years, Charlene has worked closely with chiropractors and physical therapists, and has found a niche in helping clients realign their bodies after injury, surgery and childbirth. By treating each client individually, sessions are planned to help strengthen and improve the body. She believes that everyone can benefit from Pilates, and through her enthusiasm for the practice, she aids her clients in becoming more aligned – and free from pain.